Hate standing in line but love the famous modernist architecture of Barcelona? We are spilling the beans and telling you what are the best Barcelona attractions if you are fascinated by mesmerizing art of stone and steel but want to stay off the beaten path. 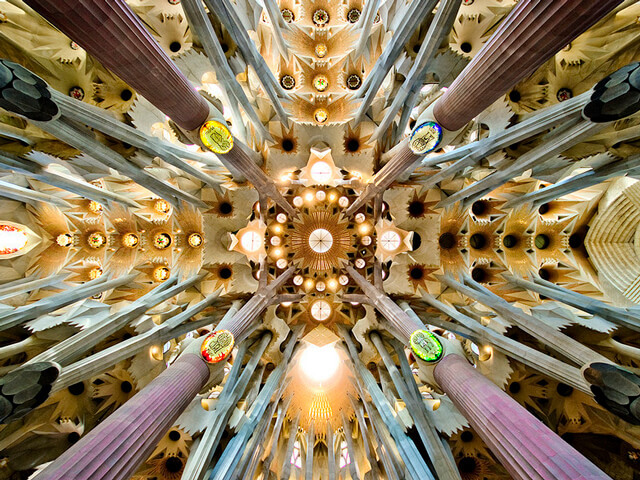 This tribute to Gaudí, contains many elements inspired by his architecture such as the use of organic forms. It counts as one of the most original examples of Barcelonan art nouveau. The architect Salvador Valeri i Pupurull worked on the Casa Comalat from 1909 to 1911. 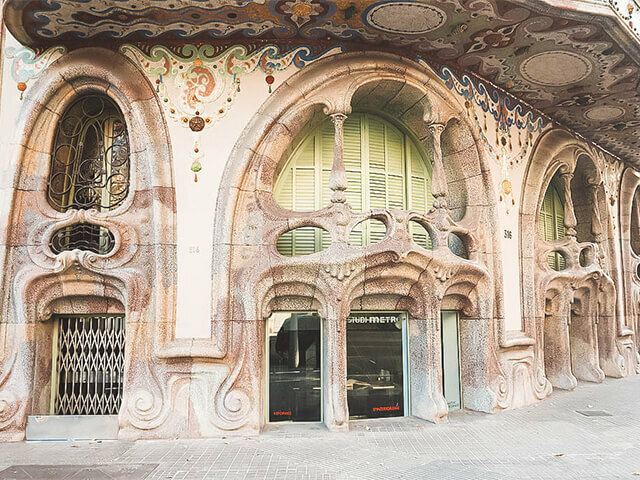 Dating from the final phase of the “modernista” era, this is a highly original building comprising two façades with a common element: the Gaudiesque curve. The main entrance which faces Avinguda Diagonal, is made of stone and is more symmetrical and regular in shape. Just a few blocks away stands one of the last modernista structures to be built in Barcelona. It encapsulates the essence of the modernist movement. 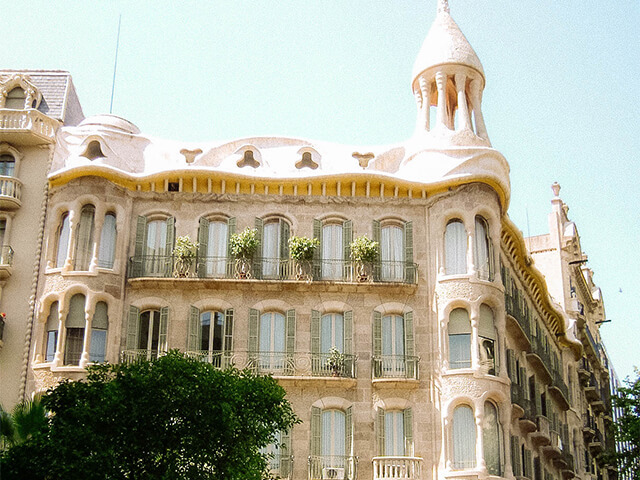 Graceful and elegant, its beauty lies in the understated curves of the façade which makes visiting it truly one of the best things to do in Barcelona. The project was signed by Gabriel Borrell but was actually designed by the architect and writer Manuel Sayrach, the son of the project developer. Sayrach hadn’t completed his degree at the time he is thought to have devised this interesting building which is why he couldn´t sign it himself. Not many know that in a small street of Gracia neighborhood, the stands first house designed by Gaudí tucked away from the crowds. He received his first major commission from Manuel Vicens i Montaner to build a summer estate after graduating from the Escola Provincial d’Arquitectura de Barcelona 1878 when he was just 31 years old. Up until 2014 it was still used as a house of residence when it was bought by MoraBanc, who restored it and made it open to the public. Gaudi´s known reference to natural elements is clearly visible in the iron work throughout the facade. This castle was built by Gaudí between 900 and 1909 and is a blend of Art Nouveau and Gothic style. Gaudí drew inspiration for the house from the medieval palace that once stood on the same site, built for King Aragon in the early 15th century. When Gaudí began the project all that remained of the initial structure were a few walls and the patio. 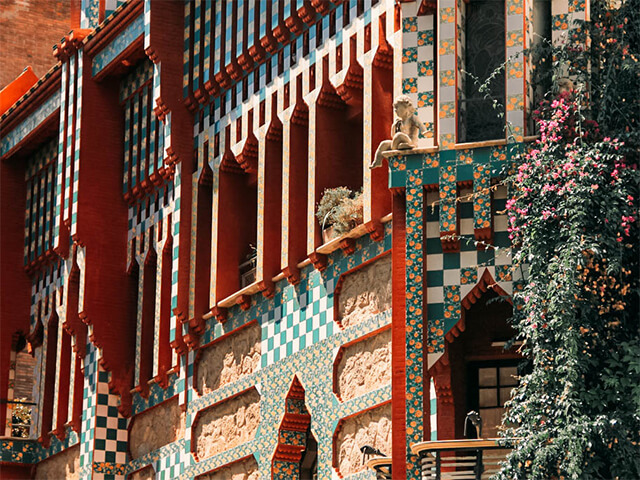 Still, Gaudí, aware of the palace´s history, worked to preserve the medieval spirit of the ruins, as is evident in the exterior resemblance to a medieval castle, complemented by signature aspects of Gaudí’s architectural style. 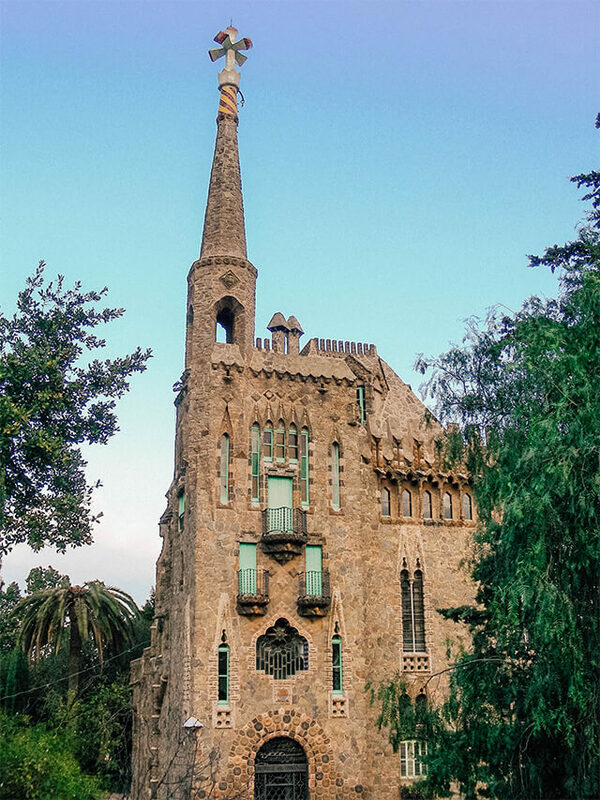 If you are looking for a truly magical Barcelona activity this would be the place to visit. Love modernist architecture? So do we! Which is why we also incorporate it into our tours which you can check out here, one of the best things to do in Barcelona!